Haha, ya, I'm eating again. 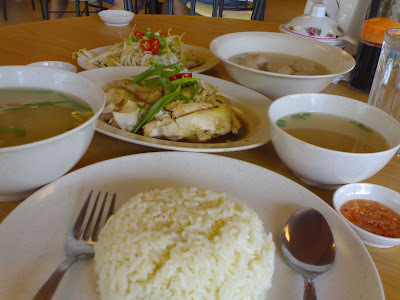 But this time, it's just chicken rice - cheap & delicious. It's a Sunday afternoon and after my facial treatment session at Aman Suria. So, I chose to lepak around that area and see what I can get. The shop's newly opened (by the time I wrote this post, I could still see a piece of red cloth hanging on the entrance). Anyway, give it a try!